Copyright: Debbie Crouch Below you will find free OpenLearn courses linked to this theme. If you enjoyed the resources highlighted in our Explore People, Work and Society page, why not take the next step and try out an OpenLearn course for yourself? Remember to keep a record of your progress in your Learning Log. Ready for the next step? If you've found a topic that you would like to investigate further, try moving on to our People, Work and Society informal learning pathway which will signpost you to more OpenLearn courses that might be of interest as well as suggestions for mapping your pathway to formal learning. Not sure? Head back over to Open Pathways to Higher Education for more inspiration. Disney and Google are just two companies renowned for their ‘business culture’. This unit explores the concept of culture in different businesses. Have you ever been the victim of crime? Are you fearful of rising crime rates? Crime is one of contemporary society's most pressing social problems - how should we respond to it? This album visits various communities in the UK to explore issues of criminal justice and the introduction of possibly controversial crime control initiatives such as restorative justice, which involves offenders meeting their victims. It also looks at schemes tackling problems of racial violence and other anti-social behaviours. 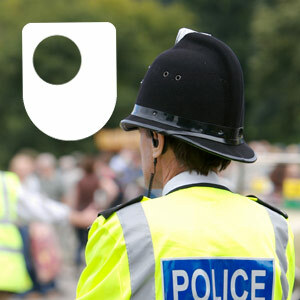 This material forms part of The Open University course D315 Crime, order and social control. To succeed in management you need good interpersonal skills, you need to understand how to deal with other people. This free course, The importance of interpersonal skills, will help you gain an awareness of your own skills and understand that an awareness of the interpersonal skills of others can help us enormously in dealing with the work tasks we are responsible for.